Create beautiful designs with the Multi-Pour Tool for 10 inch Silicone Loaf. 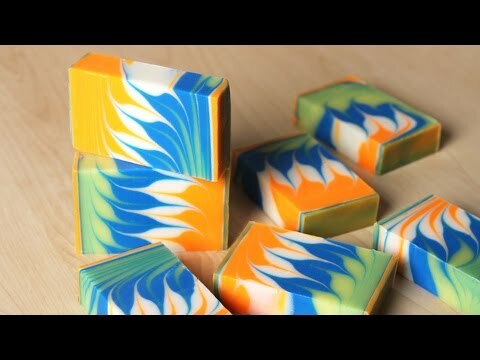 It divides handmade soap into 3 or 4 sections that you can swirl or leave as is. This tool is specifically designed for the 10 inch Silicone Loaf Mold.